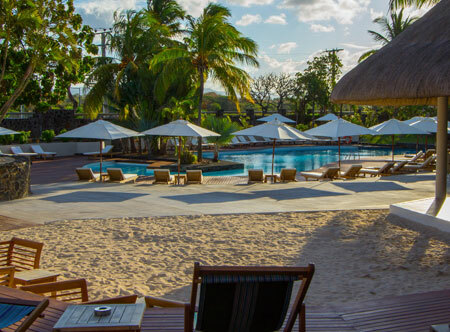 This stunning adult only resort on the east coast of Mauritius nestles amid coconut palms and lush gardens with a few steps down to an extensive stretch of sandy beach and the blue lagoon. 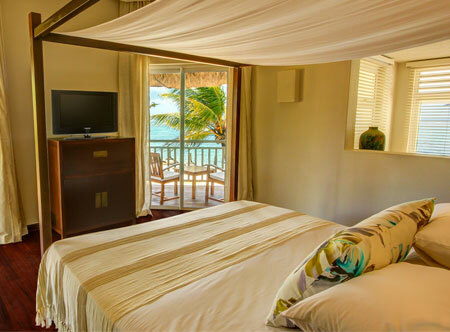 All rooms are sea view with private balconies or garden patios providing a place to soak up the endless panoramas. Should you wish to while away the day under a shady umbrella, beach service ensures you can feast on tasty snacks and drinks, while a host of activities are available for those not content to laze. After dark, discover a variety of tempting bars and restaurants. In superior sea view rooms with shower, mini bar, safe and balcony or terrace. Larger deluxe rooms with a four poster bed - prestige rooms with a four poster bed - junior suites which have a jacuzzi bath and separate shower. 50 minutes from Mauritius airport. Up to 30% room discount: 01 Aug-22 Dec 18 & 04 Jan-22 Dec 19. Discount is 25% if you stay at least 5 nights or 30% if you stay at least 10 nights. Honeymoon & wedding anniversaries: 01 Aug-22 Dec 18 & 04 Jan-22 Dec 19 if you stay at least 5 nights receive 30% room discount, one candlelit dinner for two and one free 20 minute duo massage for two.